I taught myself how to be an astrologer in my teens. In Guernsey, with the endless summer holiday stretching ahead, I picked up a paperback about astrology. The book was, I think, my Grandmother’s. It should be noted she was not the normal sort of Grandmother, she claimed to have been a medium in her youth, had her 16th Century Guernsey cottage exorcised three times, and regularly danced in the back garden shaking a handful of silver coins and bowing to the new moon to ensure continued prosperity. With this irrational influence it is not surprising that I soon mastered the simple calculations needed to cast birthcharts, which are like a snapshot of the astrological influences on you at the moment of your birth. For unlike the daily ‘Stars’ in newspapers, which absurdly categorise everyone into twelve signs, I learned that every person’s horoscope, and therefore every person, was unique. My younger brother also became good at astrology and went a step further becoming quite adept at reading Tarot cards. Astrology gave me a sprint start in understanding symbolism. When I bluffed my way into university, astrological symbolism was easy to spot in the poetry I read, from Dante to Ted Hughes (read The Birthday Letters to see how densely astrology permeated his relationship with Sylvia Plath.) For many years my hero was the poet W.B. 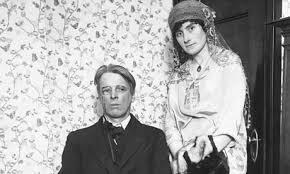 Yeats, who was a member of The Order of the Golden Dawn and dabbler in the magical and mystical. He infused all this into his work, especially his bizarre book A Vision based on the automatic writing of his young wife Georgie, which she did on their honeymoon. Can you imagine a honeymoon in which your husband encourages you to go into a trance to channel the esoteric knowledge of strange spirits? Welcome to Mrs Yeats’s world. I got my best marks at University for pointing out that the complex system Yeats had invented based on his poor wife’s work was modelled on an astrological template. To a rational mind what Yeats did is completely barking. But Yeats then produced years of poetry loosely based on this writing; the very same work he won the Nobel Prize for literature for, proving that creative inspiration can come from the unlikeliest of sources. I must make clear at this point: I think following horoscopes is foolish for all kinds of reasons. But these are reasons I have investigated, rather than irrational ones. Even astrologers would tell you that reading your stars in magazines is pointless. For these stars are based on one thing only, the rough position of the Sun at your birth. While a real horoscope has hundreds of other things to take into account. If following horoscopes is irrational, the only thing even less rational is the crazed antipathy people have to it. Take Theodor W Adorno’s relentlessly stupid essay The Stars Look Down to Earth: the Los Angeles Times astrology column. * Even the most superficial knowledge of astrology would reveal that the LA Times column he examines was not written by an astrologer and had no astrological content. Adorno uses an astrology-free newspaper column to rubbish astrology. It is the logical equivalent of examining a plastic Mickey Mouse, and inferring that mice cannot be living things. Not content with getting almost a hundred pages of argument based on this schoolboy error, he also peppers his analysis with wild assertions like “indulgence in astrology may provide those who fall for it with a substitute for sexual pleasure of a passive nature”. Adorno: a warrior against irrationality in culture. 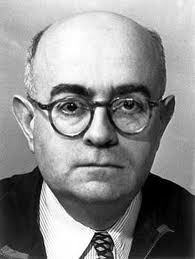 Adorno was fascinated by the forces of irrational in society, and as someone forced to flee Hitler’s anti-Semitic madness he had every right to be. However this gave him a blind spot. At one point Adorno acknowledges there are other more “technical” publications about astrologers, but makes no attempt to understand them, “the only difference between them and the tribe of crystal gazers is their aversion to unqualified prophecies”. A quote which gives a great deal away. It illumines his loathing for the irrational, and how he is projecting weird stuff onto astrology. Astrologers become a ‘tribe’. Absurd. While crystal gazing, like the LA Times column, again has absolutely nothing to do with astrology. When I left university I worked in a Casio warehouse for almost a year. At the time I was a half-baked Marxist, and also had by then a few poems published. My next move was completely irrational. I started to cast people’s horoscopes. This was my first entrepreneurial exercise, which became so successful I was able to stop working in the warehouse. I would cast someone’s birth chart, draw it out, and then type a lengthy report. Then I would meet the person face to face and discuss their horoscope and their lives. This was the basis of some fascinating conversations, where the person I was speaking to would become completely frank. I noticed how people entirely suspended their disbelief while talking to me. The fact that I never abused this position is now something with retrospect I am very pleased about. There were times when by casting someone’s horoscope I was able to pinpoint events in someone’s life. Memorably a woman’s chart clearly indicated a crisis with her father at the age of nine, and she told me he had died then, a coincidence perhaps but this transformed the rest of the encounter. What made me stop was that people began to invest me with powers that I was not prepared to take. I was asked to do the horoscopes for an entire family whose father had died, for example, and who turned to me for comfort. This made me feel as if I were being asked to play God, which made me utterly uncomfortable. So I stopped doing people’s charts. Meanwhile my brother stopped doing Tarot at a similar time. The responsibility for other people’s irrational hopes and fears were for both of us impossible to shoulder. So ended my career as an astrologer. But what I was left with was an immensely rich symbolism of the planets and signs. You see the thing is I am not afraid of the irrational. We do not live in a rational world. Millions sit down to watch the X Factor singing competition, for example, which is irrational. The economic forces that provoke recession are irrational. The sabre rattling between North Korea and the US is irrational. I could go on and on. To accept the irrational is not to demean the rational, but to pretend the irrational is meaningless is absurd. *See Theodor W Adorno The stars down to earth and other essays on the irrational in culture. This entry was posted in Uncategorized and tagged A Vision, astrology, Horoscopes, Order of the Golden Dawn, The stars down to earth and other essays on the irrational in culture, Theodore W Adorno, W.B. Yeats. Bookmark the permalink.